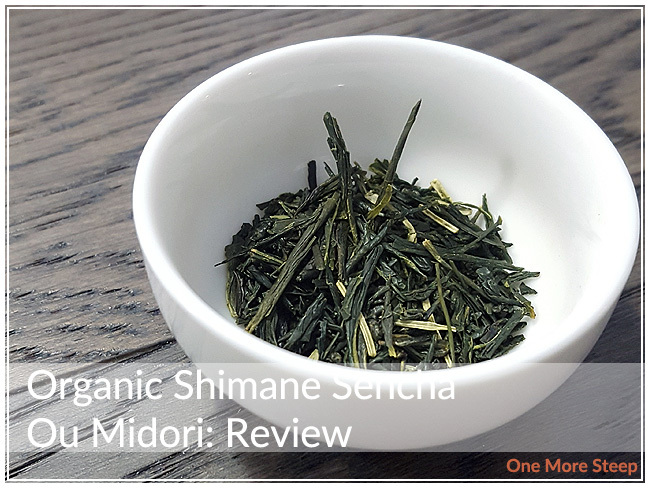 Yunomi has provided me with Organic Shimane Sencha Ou Midori for the purposes of providing an honest review. It’s another tea from the Takarabako Tea Farm in Japan! 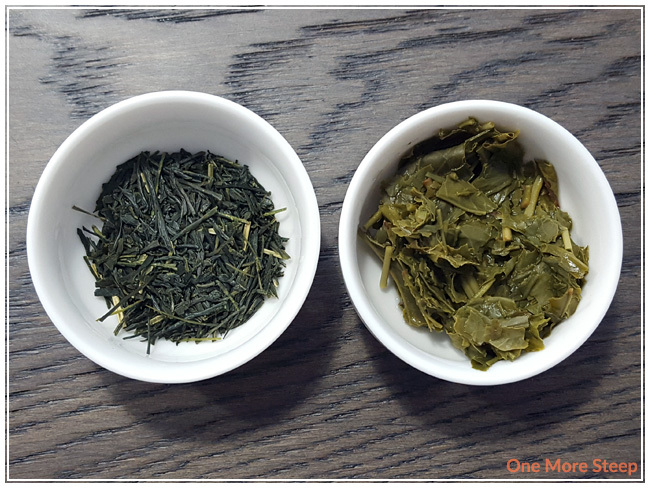 I shared a review not too long ago of another tea from the Takarabako Tea Farm (Shimane Oolong Tea), and this is the second of six reviews I’ve got coming to you for the teas from this Japanese tea farm. Yes, the label says Premium Sencha Ou Midori, but I think the product got a rename between the packaging of samples and the product pages being put onto the Yunomi website. Not the first thing this has happened to me when reviewing a tea, and it probably won’t be the last. Sencha Ou Midori came to me in a resealable green bag. It seemed smaller than the other samples, although they’re all 20g. This is because sencha is so dense. With the way the leaves are processed, they’re flattened. It’s not a big airy tea like some others that I’ve had in the past. There’s just little to no room between the leaves. The leaves themselves are a dark green, when I first opened the packaging the first thing I smelled was corn, vegetables, and grassy notes. Sencha Ou Midori is an organic green tea. Yunomi suggests steeping Sencha Ou Midori in 70°C (158°F) water for 1 minute. My initial steep was for 1 minute. Sencha Ou Midori steeps to a beautiful pale yellow. There’s a slight sweet aroma that comes up from the tea, and when I smell it, it has a vegetal smell to it. The overall aroma that comes up from this tea is quite mild in its fragrance. 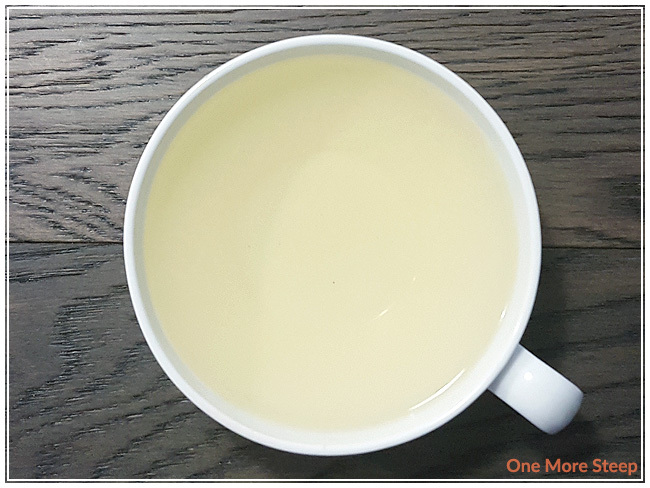 When I taste this tea, it get a very clean and crisp taste – there’s a slight saltiness to this tea that reminds me of a seaweed that makes for some nice umami flavours in this tea. I did note a mild bitterness in this tea that kind of lingers at the end of each sip. It isn’t a very strong bitterness, but it is still present. I think cutting the steep time down even further would help with the bitterness that I encountered in this tea. I did a second steep of Sencha Ou Midori and found that the bitterness was more pronounced and not enjoyable. I did not resteep after that. 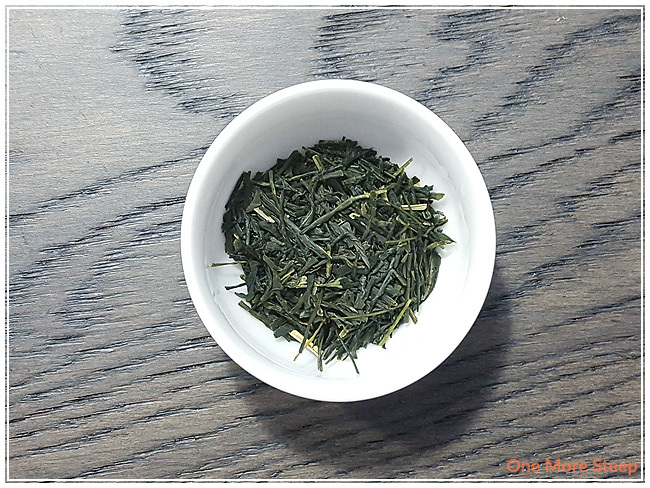 I thought that Yunomi’s Organic Shimane Sencha Ou Midori was just okay. 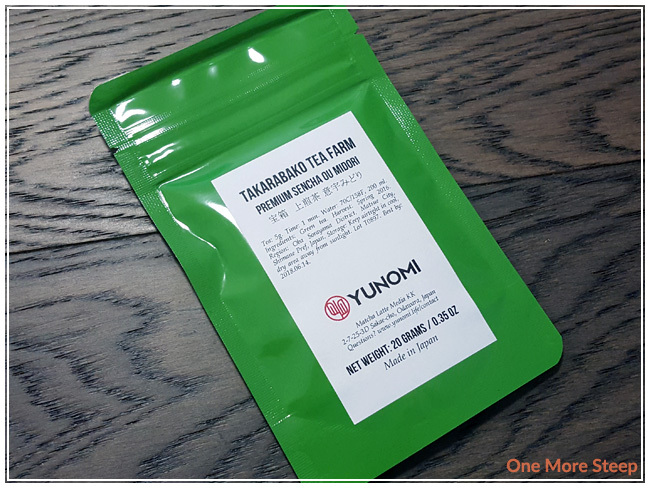 The initial steep of this green tea was quite good – I enjoyed the different flavours in this tea and it has an enjoyable umami flavour to it. The bitterness that resulted from resteeping this tea make it an unenjoyable continued tea experience. The initial 60 seconds was a bit much, I think, and resulted in some burnt leaves. I think this sencha does great for an initial steep, but I wouldn’t recommend resteeping the leaves if you’re following the steeping recommendations. Maybe you can give it another chance with different steep parameters? I’d recommend the My Japanese Tea blog. I’ll check out that recommendation! I need to sit down with this tea again and just lightly steep it, I think.